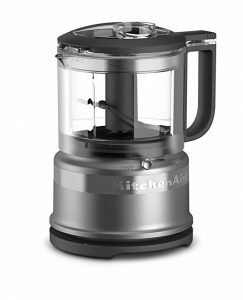 On Amazon right now you can get this handy KitchenAid KFC3516CU 3.5 Cup Mini Food Processor, Contour Silver for just $29.99 – a 40% savings! This ships free! Previous post: Easy Green Smoothie Recipe + My First Giant Eagle Home Grocery Delivery!